Emily-Rose Lewis: "Prepare for the Outpouring of Spiritual and Natural Resources"
I am so looking forward to the summer season and all that I believe will happen before our very eyes. Many are lead right now to "birth something new" unto the Lord. People are receiving new visions for an expansive calling that God is adding to them. We are in a season of new beginnings and open doors. New levels of glory are being accessed through the works that are evidence of a living faith (see James 2:26). Many have already let go of the things that were hindering their forward progress. 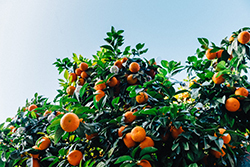 They have gone through the painful but necessary pruning process in order to bear the weight of the massive harvest of fruit that is ripening in this season. "Prepare for the Outpouring of Spiritual and Natural Resources"
The Lord began unveiling His thoughts to me for June 2018 by pointing out "ants" diligently working in the grass. Some were scouting for food and others were carrying massive loads of provision back to their homes. 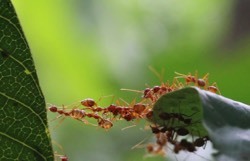 Each ant was working together in unity to support the needs of the collective colony – somewhat like a "superorganism." A superorganism is described in Webster's Dictionary as, "An organized society (as of a social insect) that functions as an organic whole." June is the 6th month of the year and God, being the clever Creator that He is, often synchronizes numbers to make a point. He gave me Proverbs 6:6 as a spring board for unwrapping the blessings He has prepared for the coming months. "Go to the ant, you sluggard; consider its ways and be wise" (Proverbs 6:6)! "June is a month not just to be what you were created to be, but to do what you were created to do..."
For those who are willing to set aside their own self-agendas, June will bring a wealth of opportunities for hard work leading to abundance. God wants His Body to rise up and be energized to take hold of all of His promises both personally and corporately. We will do this by working diligently in the specific purposes that have been individually assigned to us as the eyes, ears, nose, hands or feet of Christ's Body here on the earth. Right now, there is an outpouring of abundant provision that has been granted for the Kingdom work God has ordained for Christ's Body on the earth. A transference of all types of wealth is underway. There are no shortages of resources for those who want to take part in the harvest – to be entrusted with the responsibility of the great reaping of souls in the earth. Excellence comes only by hard work. Exercise the choice of doing your daily chores and tasks as unto the Lord. Try making lists of this month's assignments and arrange them in order of Kingdom importance and what God has placed before you, marking off what is most important first before proceeding to the next thing. Keep an eternal perspective while considering that you are but one part of the whole. God is expanding your vision to see that your purpose contributes to the overall plan He has for His Body in the earth. There will be a powerful wind of spiritual and natural energy released to upgrade your power and potential as you step into the stream of the Spirit that is moving, with all of the working parts in mind, to accomplish shared goals and purposes. As with the ant, God is anointing many with the ability to scout out resources to be used for the "collective good." Creative ideas in business, ministry, art and investments are being downloaded into the hearts and minds of God's children. He is handing out specific blueprints for the work to be done to fully produce what is needed to prepare for Christ's return. God is releasing great provision into the diligent hands of those who will give sacrificially when, where, how and how much He directs. He is building "Sewing Machines" to sow into the great harvesting of souls that is now underway. "We are in a season of new beginnings and open doors. " Do not allow fear of lack to hold you back from having a mentality that refuses to become a reservoir of resources. Instead, expend all that you have and all that you are for the glory of God. You will walk in overflow abundance as a result. "The hardworking farmer should be the first to receive a share of the crops" (2 Timothy 2:6). In order to bring God's will from heavenly realms into the earthly realms where people's lives can be changed, hard work is required. Do you want to see the Kingdom of Heaven manifest in your life and in the world? Be earnest in your desire for Heaven and the things of God. Press into your purpose. Set your affections on things not of this world. Without zeal and fervency we won't be able to lay hold of and seize the Kingdom. 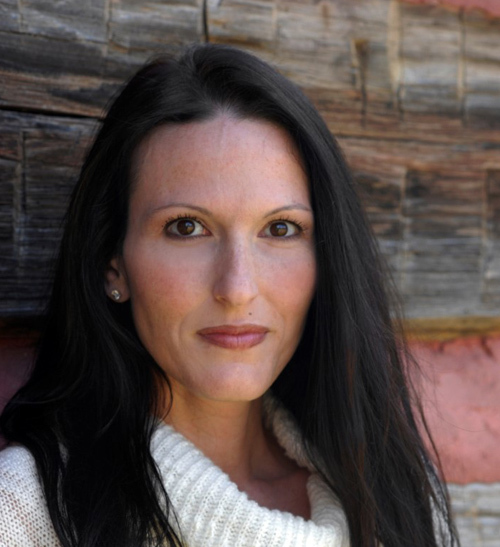 Emily-Rose Lewis is a prophetic speaker, author and coach with over 16 years of service in the Kingdom of God. She founded Desert Rose Ministries in 2014 to bring healing and restoration to the Body of Christ through teaching, coaching and prophesying. She has studied dreams, visions and the supernatural, developing deep revelatory understanding into the ways the Lord desires to bring healing, guidance and prophetic insight into peoples lives and futures. Emily-Rose walks in the miracle working power of God and has seen countless miracles of healing in both body and soul. She imparts the heart of God with messages of faith, hope and love, equipping people with powerful weapons to rise above adversity and apply the victory of the Cross to their everyday lives.